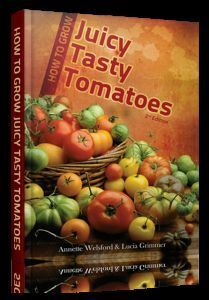 If you have a favorite tomato that grows well in your garden, it is well worth saving the seeds for next year. Most tomatoes are self-pollinating, so the offspring will be identical to the parent plant. However, if you or any of your neighbors grow several tomato plants within a bee's flight path, there is a risk that the plants will cross-pollinate. If so, the seedlings may vary from the parent. Currant tomatoes and many large beefsteak varieties have stigmas that protrude beyond the anthers, so are particularly vulnerable to cross-pollination. This may not worry you, but if you plan to donate seeds to a seed exchange, isolate the parent plant or bag individual trusses with a light muslin bag or cheesecloth, secured below the truss with a rubber band around the stem. Tomato seeds are coated with a gel that protects them from attack by seed-borne diseases, like bacterial spot and early blight (pp114-119), but also inhibits germination When preparing seeds for storage, you can remove the gel by fermentation. 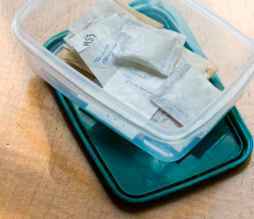 Keep your seeds in labeled envelopes or paper sachets (plastic bags encourage mold) in an airtight container with a sachet of silica gel to absorb moisture. Store in a cool, dark place, preferably in the salad drawer of the refrigerator. Collect seeds from ripe or even over-ripe fruits. 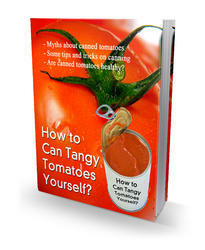 Slice each tomato in half; scrape out the seeds with the point of a sharp knife. To save only a few seeds, simply leave them to dry on a paper towel, but spread them out well so they do not get moldy. Scoop the pulpy seeds into a jar and leave in a warm place. After two days, a yeasty smell will indicate that the gel is fermenting. Once the seeds are gel-free (a white fungal layer should form after 5-7 days), rinse the seeds. Spread out for a week to dry.